They are the elder statesmen of college basketball arenas, ready to see in another year like the rest of us this weekend. Fifteen places built before 1940, and you know what that means? They all went up while James Naismith was alive. The last 15 still active from the age of the man who invented the game. Many of them have been renovated and re-named to the point of hardly being recognizable from the early days, but they’re still old at heart. Let’s take a tour. ESPN analyst Jay Bilas has been to most of them and is our tour guide for those. Many called it the Rose Bowl Gym when it was built in 1933. Why? Tulane’s 21-12 loss to USC in the 1932 Rose Bowl did a lot to pay for it. No national title has ever been won within its confines, but a war ended. President Ford made a speech there one day in 1975 announcing the conclusion of American involvement in Vietnam. 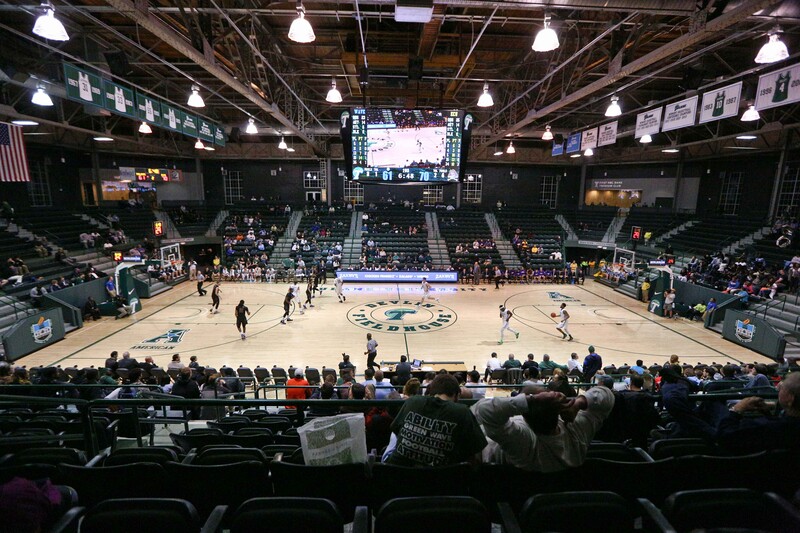 It opened in 1933 and later became renowned as the Harmon Gym, but an extensive renovation in the late 1990s changed about everything but the original walls. 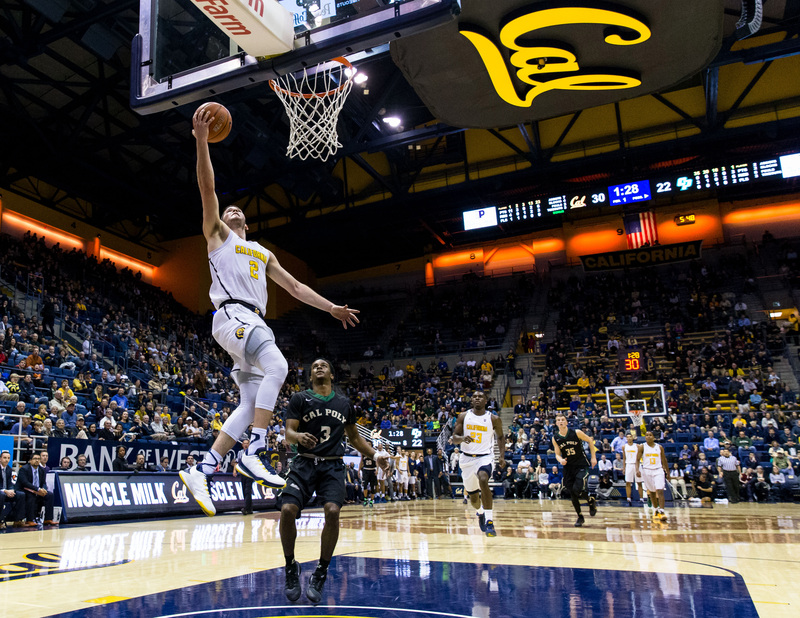 It’s the site of the famous Cake Incident in 1990, when Oski, the California mascot, threw a frosted cake into the Oregon State cheering section that landed on Gary Payton’s father. Now the Alaska Airlines Arena in its second life. Built in 1927, it originally had a dirt floor beneath the basketball court. Better for the horse shows and Boy Scout sleepovers it hosted. It also welcomed the 1949 and ’52 Final Fours. Born in 1939, it’s the same age as the NCAA Tournament. But in 79 seasons, The Citadel has never produced an NCAA Tournament team. It’s a snug place; no fan is more than 24 rows from the court. 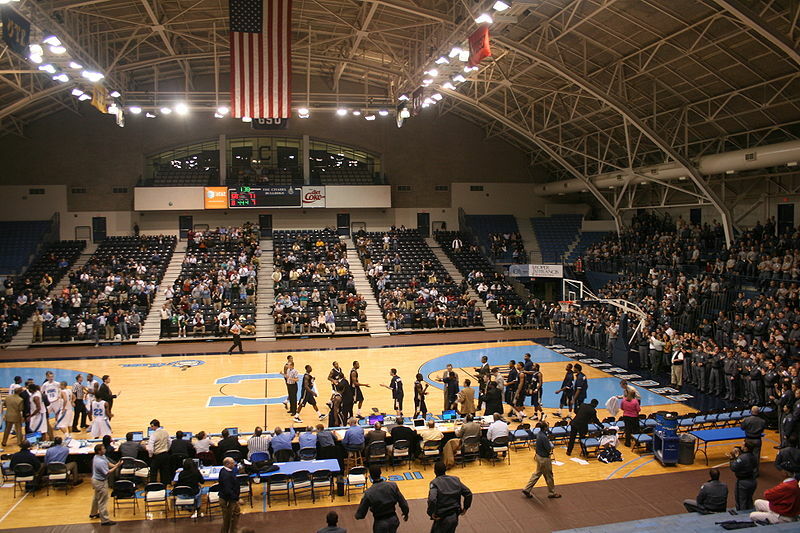 The Citadel seems an unusual choice for a Democratic presidential debate, but there it was in the Field House in 2007. The product of a New Deal construction job program in 1939, it sits on the state fairgrounds and has hosted the famed Indiana high school state basketball finals, the Indiana Pacers in their ABA days, and a bunch of hockey. Also, the only Beatles appearance in Indiana. Its signature features are the stained glass windows. Not far away, the prized steers and hogs congregate for the summer’s State Fair. On the wall in the lobby is a plaque with 74 names – the 74 people killed when a concession stand propane tank exploded during an ice show in the Coliseum in 1963. The 1938 complex carries photos of former New Hampshire teams. It doesn’t take long to find Carlton Fisk, who played basketball in Lundholm but is better known in New England for what he did in catchers’ gear in Fenway Park. At barely 3,000 seats, the word cozy comes to mind. It opened in the Bronx in 1925 -- two years after Yankee Stadium in the same borough. Want history? Tale the night in 1965 that Lew Alcindor — you’d know him later as Kareem Abdul-Jabbar — played his final high school game there, before heading off to UCLA and the legend that would come. During World War II, it was turned into barracks. The day of its dedication in 1936, Franklin Roosevelt was the keynote speaker. Not many other arenas can say that. And none can say they’ve hosted nine Final Fours, including three of the first four. The last one was 1964 – the first national championship won by this scholarly guy in glasses, John Wooden. Funny thing about Municipal Auditorium; basketball was not necessarily the main idea. It was more to give Kansas City a civic center for multiple uses, from music to theater. The original ceiling was 92 feet high, partly to make room for trapeze artists when the circus came to town. But no circus ever got the ink Darryl Dawkins of the Philadelphia 76ers did, when he shattered a Municipal Auditorium backboard with a dunk in the Kansas City Kings days in 1979. There was glass everywhere. You glance at the place — nine stories high, looking for all the world like an old cathedral — and you wonder. They play basketball in here? They have since 1932, in a building created by the same man who designed the Jefferson Memorial. It originally included 4,000 lockers, two swimming pools, 28 squash courts, a practice room with a wooden horse for polo, a fencing studio, tanks for rowing crews, and a room where people could work on their posture. Before the school went co-ed, there was even a pool where the men could swim naked. Yale’s original mascot bulldog Handsome Dan sits stuffed in a trophy case. 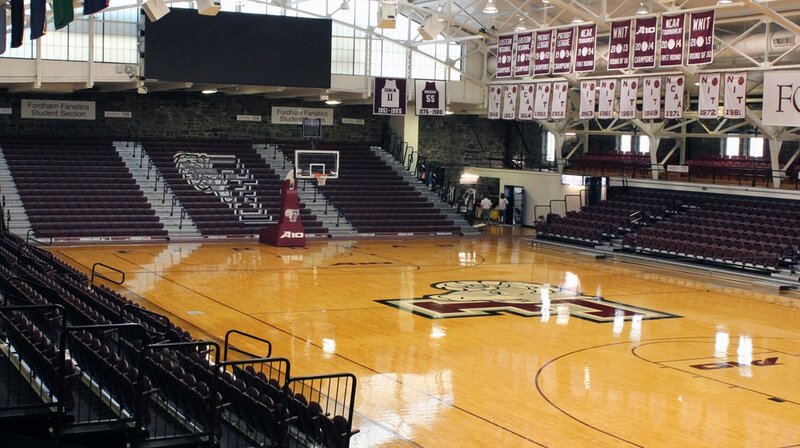 The basketball arena has been known to get so loud, Harvard once tried to hold a timeout in the hallway so the players could hear. The Barn, to its friends. Been that way petty much since it went up in 1928. 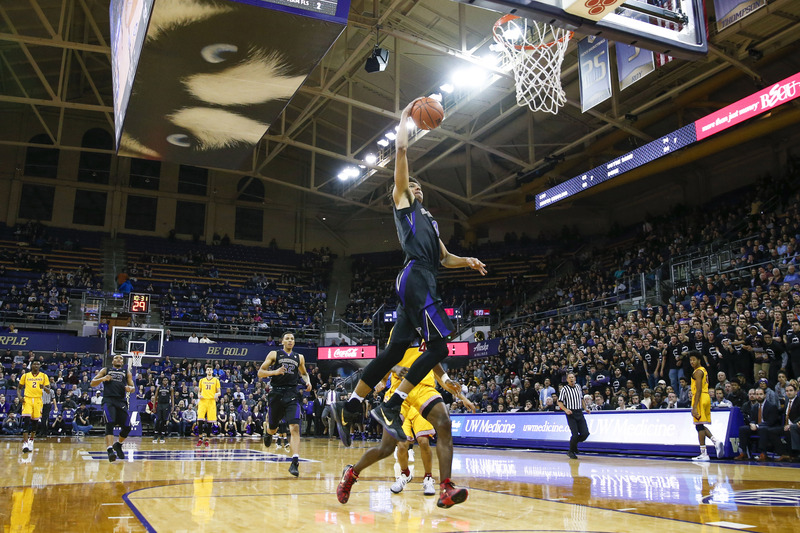 The most known feature is the raised floor, which has teams sitting below court level, with their eyes at about knee level with anyone in the game. Wisconsin coach Bo Ryan once had his players practice diving off the court after loose balls, to get a feel for what kind of fall it would be. Williams was the stage for one of the sport’s darkest hours in 1972, when a Minnesota game with Ohio State turned into a brawl. Pictures of bloodied Buckeye center Luke Witte — who spent time in intensive care — ended up on newspaper and magazine covers everywhere, and two Gophers were suspended for the season. The granddaddy of them all, opening 1910, two years before the Titanic. Jack Dempsey fought there. Babe Ruth worked out with a hockey team during the off-season in his Boston Red Sox years. Both Teddy and Franklin Roosevelt campaigned there. The NHL Bruins and NBA Celtics both played their first home games there. It hosted celebrations to honor Charles Lindbergh and Amelia Earhart, and also Reggie Lewis’ funeral. Hockey legend Bobby Orr received an honorary degree at commencement. It has survived two fires and more than a century of time. And still it lives on, with Northeastern basketball and hockey. It opened in 1938 under the name of 4-H Club and Student Activity Building, with a white maple basketball floor that was the most expensive anywhere in the country. The name is long gone, but the floor is still there, after a gazillion dribbles -- the oldest still being used in college basketball. So are the two seats in the southeast corner section perpetually reserved for wrestling coaching legend Ed Gallagher and basketball Hall of Fame coach Henry Iba, whose names adorn the arena. When they built the arena, someone came up with the great idea of asking a Greek professor for a name suggestion. Bingo. 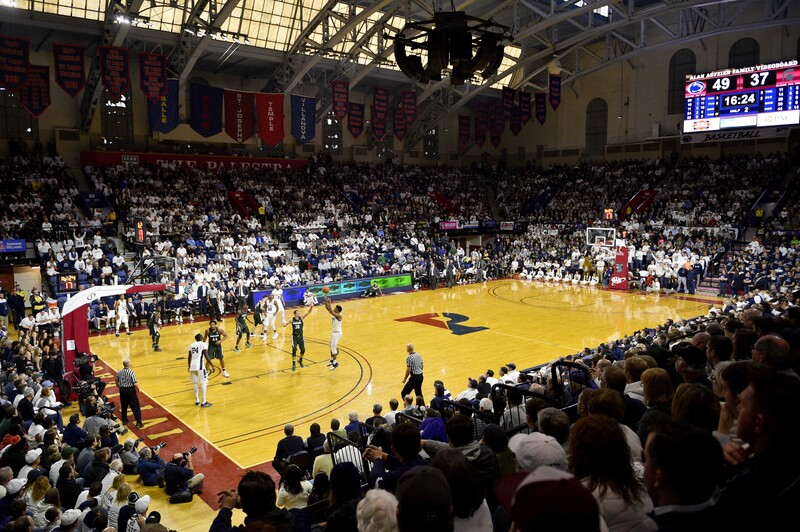 The Palestra, which comes from a Greek word for a rectangular enclosure for sport. The name has stuck since 1927, and then some. The intimacy, the aura, so much history that the echoes are deafening. All there. 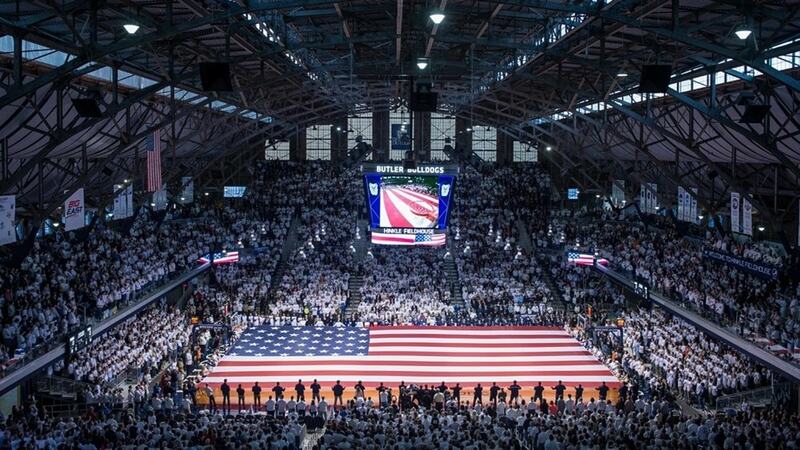 The just don’t call any ol’ gym the Cathedral of College Basketball. 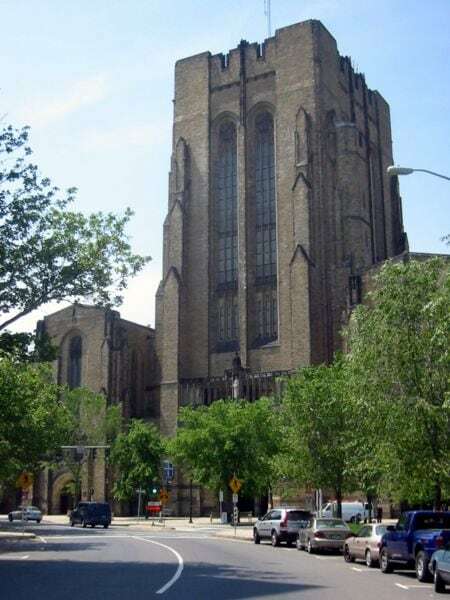 And to think, during World War II, the Cathedral of College Basketball was a Navy mess hall. Five stories high, 2.2 acres in area, and every inch of it is hallowed ground to the basketball-mad state of Indiana. You can walk the ramps on a self-guided tour and stop at sign after sign, recalling historical moments. The aura is best sensed in daylight, with the sun coming through the windows in the roof. 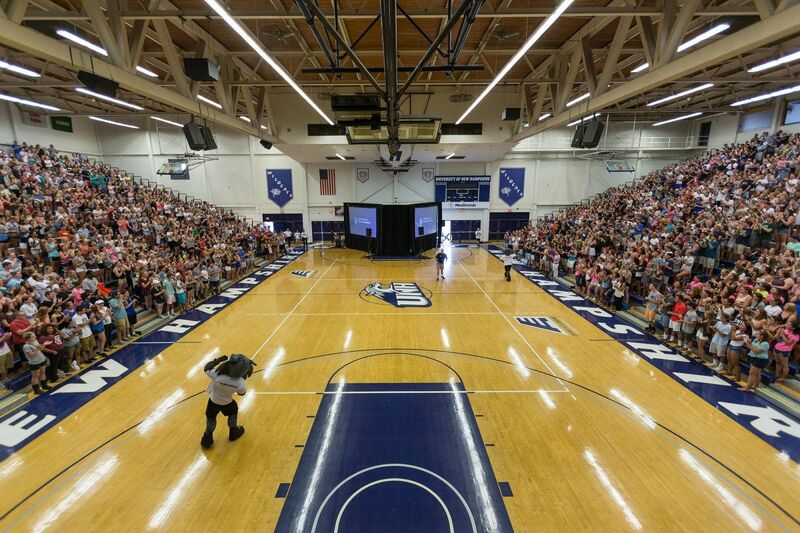 Butler has filled its Fieldhouse with memories, from the Cinderella Final Four teams of 2010-11 to the namesake of the arena – Tony Hinkle, who coached there forever and came up with the idea of making basketballs orange. 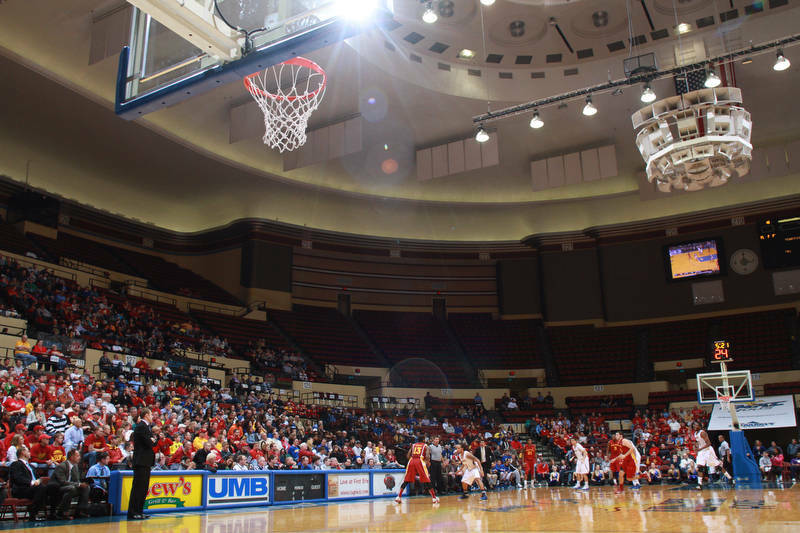 But the high school basketball tournament is what turned it into a state treasure, and was the reason they built it so remarkably large in the first place. Butler didn’t need nearly 15,000 seats in 1928, but the Indiana state tournament did. Oscar Robertson grew up not far away and won two state championships there, and that was just after a skinny kid named Bobby Plump secured a title for small town Milan with a shot that will never die. You know it, with some Hollywood alterations to the story, as the movie “Hoosiers.” The climactic scenes were shot on location in Hinkle. OK, it didn’t open until 1940, just a couple of months after James Naismith died. But he was alive as it went up, and besides, is it possible to have any list of venerated college arenas without Cameron? No. The Crazies in the stands. The Krzyzewskiville tents outside. The 9,314 seats, filled for 428 consecutive sellouts. The 139-game winning streak against non-conference visitors going back to 2000. The noise, the atmosphere, the crowd so close to the game, it could take the outside lane in a fast break. The legend of how it started may be a myth – Eddie Cameron and Wallace Wade sketching out plans for a basketball arena on a book of matches in 1935. That sounds too good to be true, but then again, this is Cameron. Nearly everything about its past seems too good to be true. The Duke team didn’t even need to be involved to make magic. When North Carolina State beat North Carolina in the 1947 Southern Conference championship game in Cameron, NC State coach Everett Case borrowed an idea from his days coaching high school basketball in Indiana – he had his players cut down the nets to celebrate. 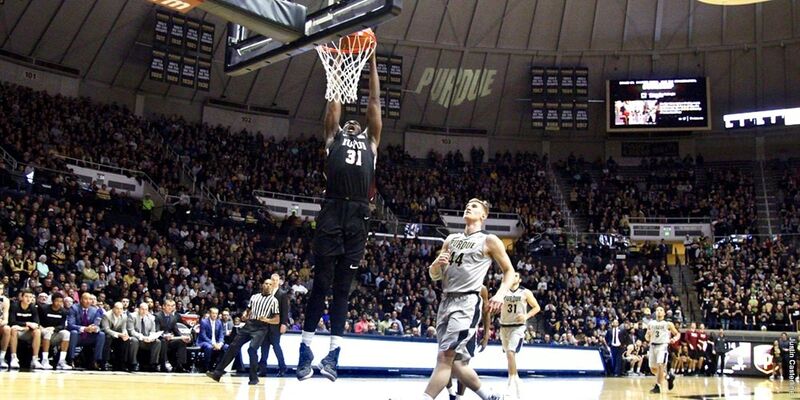 It was the first time that ever happened in a college game, and a tradition was born. Kansas’ Allen Fieldhouse opened in 1955, by the way. It is one of the iconic locations of the sport, but too young for this list. This is for 15 golden geezers who keep the past alive, each in its own way – a priceless asset to the game. 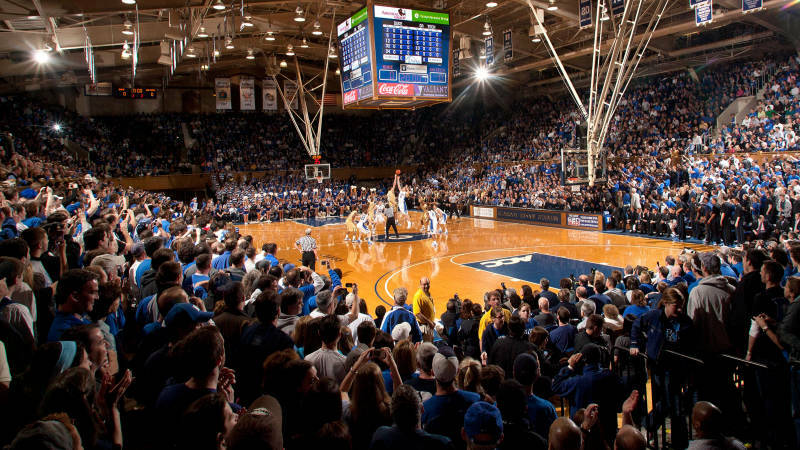 “I look at college basketball arenas very much like I do baseball stadiums or golf courses,” Bilas said. “You have all these great golf courses but they’re not the same. So you can have an event at Augusta National and have one at Shinnecock and it’s going to be totally different event, even though the game is the same.